Grew up… in Hell. 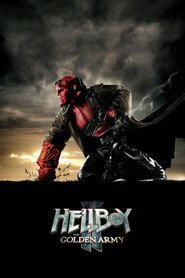 Hellboy is a half-demon whose parents are the demon Azzael and the witch Sarah Hughes. He was summoned to Earth during a mysterious ritual performed by the evil mystic Grigori Rasputin, but was recovered by Professor Trevor Bruttenholm. The Professor then became his adoptive father and gave him the name “Hellboy.” He grew up on an air force base in New Mexico with his dog, Mac. Living… in New York City. Hellboy has a bachelor pad where he smokes cigars and keeps a dozen cats as company. He lives a reclusive lifestyle, due to the fact that he’s a towering red half-demon with sawed down horns on his forehead. Profession… B.P.R.D. paranormal investigator. 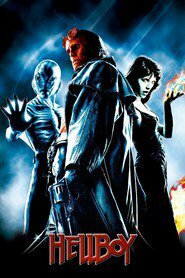 Hellboy works for the secret Bureau for Paranormal Research and Defense, or B.P.R.D., where he travels the world investigating supernatural disturbances. It’s his job to put the ghosts and the ghouls in their place, and he’s more than willing to throw a few punches with his huge stone arm if he has to. Interests… cigars, cats, and beer. Hellboy enjoys relaxing with a beer and smoking one of his favorite cigars when he’s not working. He even finds the time to lift a few weights and practice his shooting skills. Relationship Status… single. Being a hulking half-demon with a stone hand and sarcastic attitude makes it hard for him to get close to anyone. However, despite his tough guy personality, he has a soft spot for his fellow agent, the brooding pyrokinetic, Elizabeth Sherman. But Agent Myers also has his eyes on Liz, and Hellboy feels like he would probably be better for her than a frightening half-demon like him. Challenge… stopping the evil Rasputin from unleashing the apocalypse upon the world. Sixty years ago, Rasputin and his Nazi associates summoned the monsters from another dimension known as the Ogdru Jahad in order to create his version of a paradise for the world. While Rasputin was absorbed into the portal many years ago, his associates Haupstein and Kroenen resurrect him, releasing beasts upon the world. Little does Hellboy know that he’s actually the Harbinger of the Apocalypse, and Rasputin wants to use him to bring destruction. It’s up to Hellboy and his fellow B.P.R.D. agents to destroy Rasputin once and for all. Personality… gruff, reserved, and short-tempered. Although Hellboy works for the good guys and has a strong sense of justice, he’s not the friendliest guy. He prefers to be alone most of the time and is pretty moody. Hotheaded and headstrong, Hellboy is prone to spit sarcastic insults if someone rubs him the wrong way. Despite his rough attitude, Hellboy does have a compassionate side for his loving father and his friends. Hellboy's popularity ranking on CharacTour is #278 out of 5,000+ characters. See our top-ranked characters and read their profiles.